Black Butler 2, the simulcast of Black Butler is a manga series written and illustrated by Yana Toboso which debuted in 2006. In 2008 an anime adaption, directed by Toshiya Shinohara premiered. In 2010, FUNimation Entertainment announced that they have licensed Black Butler and have since began streaming the simulcast series Black Butler 2. 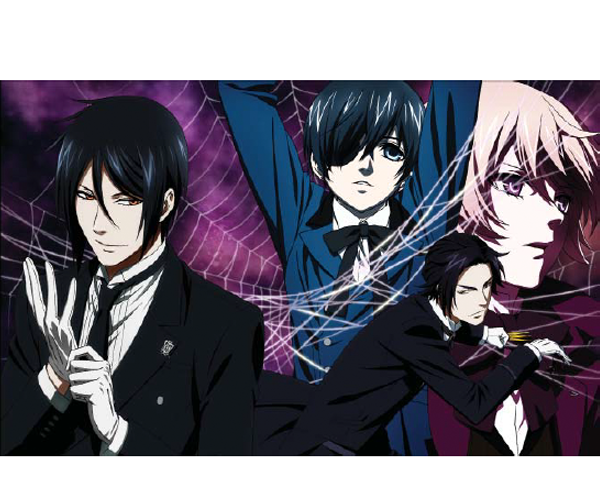 Lady Sandra has teamed up with FUNimation to create a collection of Black Butler 2 throws and blankets.